The ruthless marker, they called him. He was a central defender not of size but of stature. He was a central defender who never stood tall but always stood out. And it started at the age of 16, when Hernández began to stand out in football in the youth teams of Real Madrid. His time there coincided with Real Madrid legends such as Ramón Grosso and Manuel Velázquez, the latter of whom spent a year on loan at Rayo. Máximo Hernández would leave Real Madrid's youth team for Rayo Vallecano in 1995, making his senior debut at the newly promoted Segunda side. He would play there for three seasons, and formed a solid partnership with Gregorio Benito in the last two - who was, coincidentally, on loan from (you guessed right) Real Madrid. For the 1968-69 campaign, Celta Vigo were looking to strengthen their side, and wanted to achieve promotion to La Liga after 10 long years in the Segunda. Their first signing of the season was that of Máximo Hernández, from Rayo Vallecano. In what would be a long-awaited season of promotion, Máximo Hernández and Enrique Álvarez Costas became the defensive fulcrum of a team that went from conceding 33 goals in the 1967-68 campaign to 28 in the 1968-69 season. Máximo Hernández, at Celta Vigo. 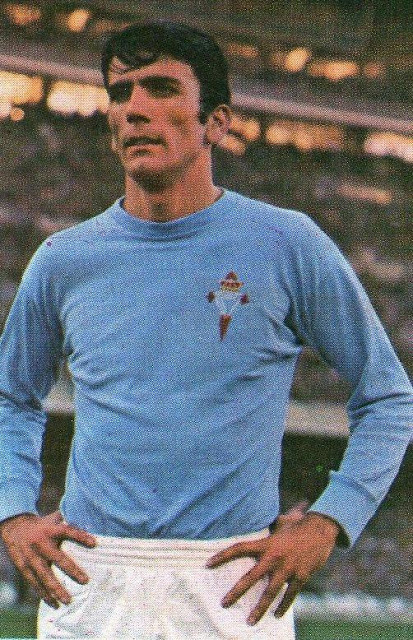 He would make his La Liga debut with Celta in the 1969-70 season, playing 23 league games and becoming one of Roque Olsen's most reliable players. The following year, although he started the season with Celta, he did not play a single game, and on the third jornada of the season he was allowed to leave. Being replaced a few days later by Sevilla player Isabelo, he would move to La Liga side Sporting de Gijón, where he played for two seasons. In 1972, he returned to his first senior club Rayo, being an undisputed starter for the side and becoming its captain. Hernández signed for Eldense in 1974, and retired with the club in the following year at the age of 29. And yet - he is known more for his coaching career that his playing career. For as much success he has had as a player, his managerial career has been full of ups and downs. Immediately after retiring Hernández took up coaching, starting with third tier side Carabanchel. After stints at Atlético Madrid B (1976-78), Ceuta (1978-79) and Albacete (1979-80), he was appointed manager of Getafe Deportivo in the second level in July 1981. What followed was the first of three stints at Rayo Vallecano. His first stint as manager was in 1983, when he led Rayo to one of their worst starts ever in the Segunda, and he was replaced in November by Antonio Ruiz, who couldn't save Rayo from relegation to Segunda B. He subsequently managed Moscardó (1986-90), taking the side from the regional leagues to Segunda División B. After Segunda B stints with San Sebastián de los Reyes (1994-95) and Aranjuez (1995-96), he would have his second stint at Vallekas. In March 1997, with Rayo seriously threatened with relegation, they turned to their former player and manager. However, Hernández's return to Rayo was disappointing to say the least - after failing to save the club from the drop, he stepped down in June. However, he was again appointed manager in March of the following year for two games, sandwiched between Jesús Ortuondo's stint at the club. After managing Segunda B sides Talavera (1998-99) and Xerez (2001), helping the latter to promotion, Hernández was appointed director of football at Numancia. He was named manager of the latter in December 2002, replacing fired coach Manuel Sarabia, and was replaced by Quique Hernández after the end of the campaign, returning to his previous duties.